...reflections of a melancholic bookreader. I was surprised to see a white man walk into Joppy's. It's not just that he was white but he wore an off-white linen suit and shirt with a Panama straw hat and bone shoes over flashing white silk socks. hmm....interesting. This is how I imagine a sub-par pimp from Miami to dress...he could also be a foreigner. And what's he doing at Joppy's? --I don't know. And I won't know until this weekend because I haven't officially started reading this one yet. I hear Walter Mosley is a legend, so I'm kind of excited to see what he's about. What do we think? pimp? foreigner? other? I like that beginning. I really wonder who that man is. Me too. Thanks for visiting. Very intriguing. You wonder why "I" makes a point of talking about the man and you wonder who the man is and why he is wearing all white, and why "I" took the time in mentioning that he was white. He sounds a bit like a tourist, which would explain him being out of place. 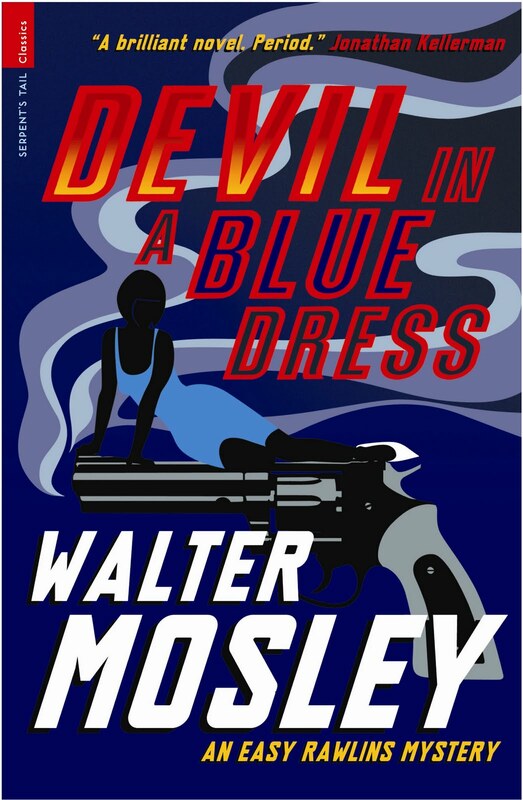 Also, I like the title of the book, especially because blue is usually associated with cold, which the Devil definitely isn't! XD Thanks for stopping by, I'm now following you and I hope you have a great weekend! Tourist is a good guess. I like it better than foreigner. I like the title as well...I think all of Mosley's books have good, interesting titles. And yeah, we have white man in white and a 'devil' in blue. I'm wondering how they're connected. I don't know if I believe that he's lost...it's something about his attire. This sounds like it's going to be an interesting one. Hey, thanks for stopping by my book beginning, too! Click the title above to visit!